Do you remember the last episode in the Evangelion TV series? Where the anime staff presented you with a new world? 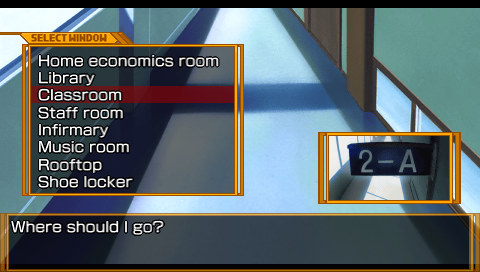 An environment more like that of a romantic comedy where Shinji plays the clueless hero, Misato as his sisterly caretaker, Asuka as his childhood friend, Rei as the new girl in school and Kaworu as the resident bishounen? 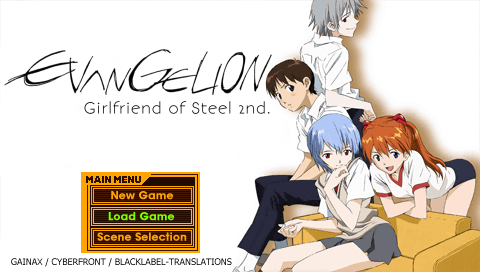 Now you can live this lighter Evangelion adventure through your PSP in Koutetsu no Girlfriend 2. Find out how different Shinji’s life could be in this brighter world. This patch is 100% complete, but released considered as “public beta” as not all the routes have been played through for typos or so. 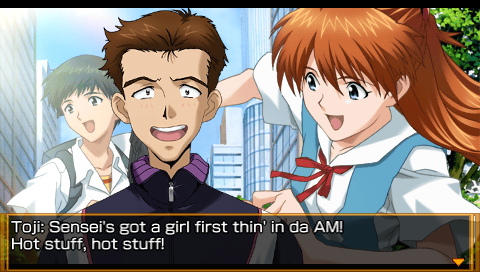 All relevant graphics translated from japanese to english. 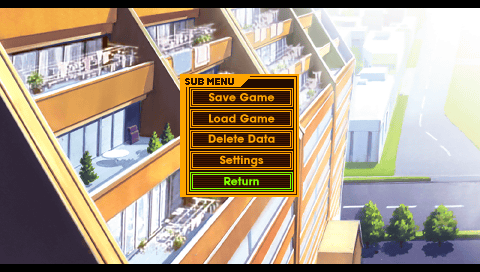 in-game UI streamlined to be less intrusive and eating less screenspace compared to the original. v1.01 of the patch fixes all reported spelling and mechanic issues found from the vanilla release. and is considered as the final version.